Come and ENJOY some FREE water familiarisation sessions with your little one. To make an equiry or to enrol, please fill out the enquiry form at the bottom of this page. We look forward to seeing you soon! Thanks. Babies have a natural affinity for the water. The time while children are young is a wonderful time to start helping your child be relaxed and comfortable in the water. 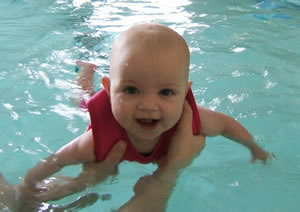 Formal swim lessons start at 6mths old. Between 4-6mths old, children can start being introduced to a pool environment in a less formal session. To meet with other parents of babies. Did you know swimming improves… Co-ordination & Balance; Sleeping & Eating patterns; Muscle development; Heart & Lung strength; The bond between carer and child. This offer is for FREE Baby Swim sessions. During Baby Swim sessions the pool is set up with lots of toys and teaching aids. There is a teacher in the water to help guide you through appropriate skills. You need an adult in the water per child, children need to wearing an aqua nappie. Sessions go for 30 minutes, but 4-6mth olds generally start to tire after 20 minutes or so. So come and go any time during the session that’s suitable for you and your child’s sleeping and eating times. There’s no catch or fine print. While we hope that you do continue with classes after your child’s 6 month birthday, there’s no obligation to do so. 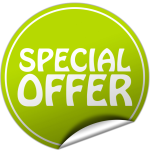 The aim of this FREE offer is to introduce children and families to the pool in a welcoming and friendly environment. 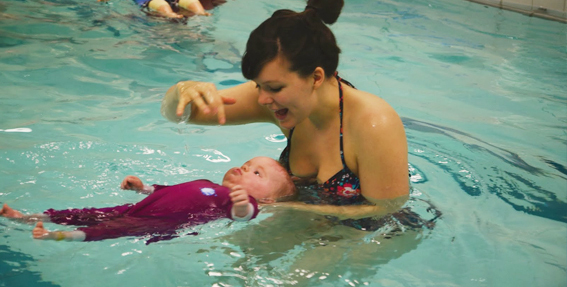 Every child needs to learn to swim at some stage so we hope that you use these sessions to meet us, to like us, and to then continue with us when you’re ready to start your swimming lesson journey. We hope to be a part of your family’s ongoing water education. To participate in these FREE sessions your child needs to be at least 4 months old, and before their 6 month birthday. As of your child’s 6 month birthday, if you wish to continue, our normal programs and pricing apply. 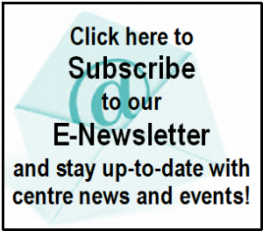 Please CLICK HERE for information about our other swimming programs. At Healthways, we specialise in children and learn-to-swim lessons, so that everyone in the family can enjoy and be confident in the water, all year round. We offer swim programs for babies, toddlers, pre-schoolers, primary school age children, early secondary school age students, and adults. We have lessons for everyone in the family. All our teachers are qualified, and our small class sizes mean that your children will receive more teacher attention. It’s important for new clients to feel confident that you are coming to a swim school that is reliable and reputable. Please CLICK HERE for more information about us and our industry recognitions.